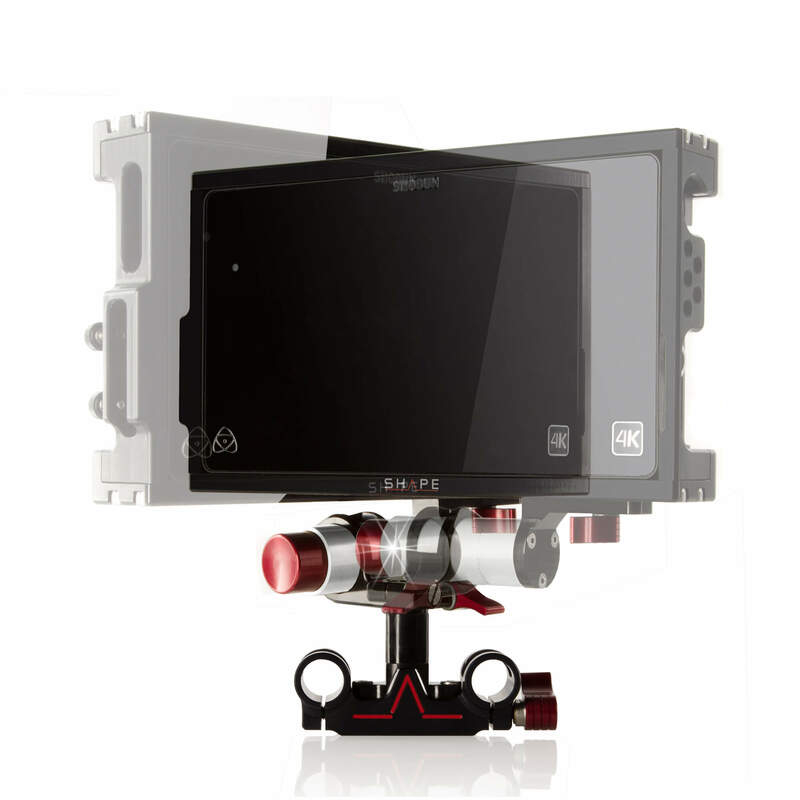 The Atomos Shogun Cage with 15 mm Monitor Bracket from SHAPE features a form-fitting cage and a tiltable 15 mm monitor bracket for attaching the Shogun to your camera rig. 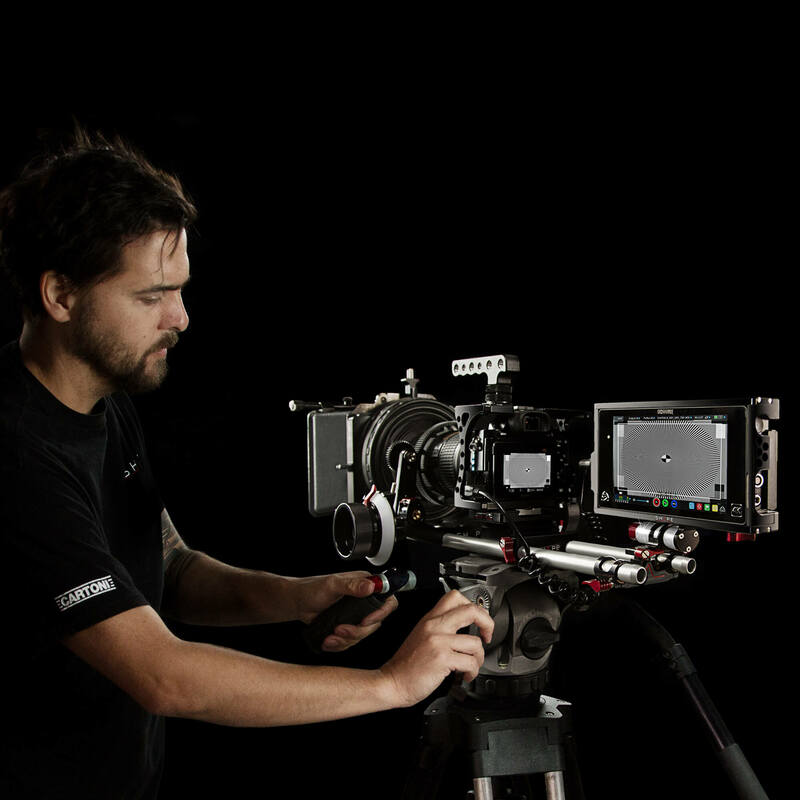 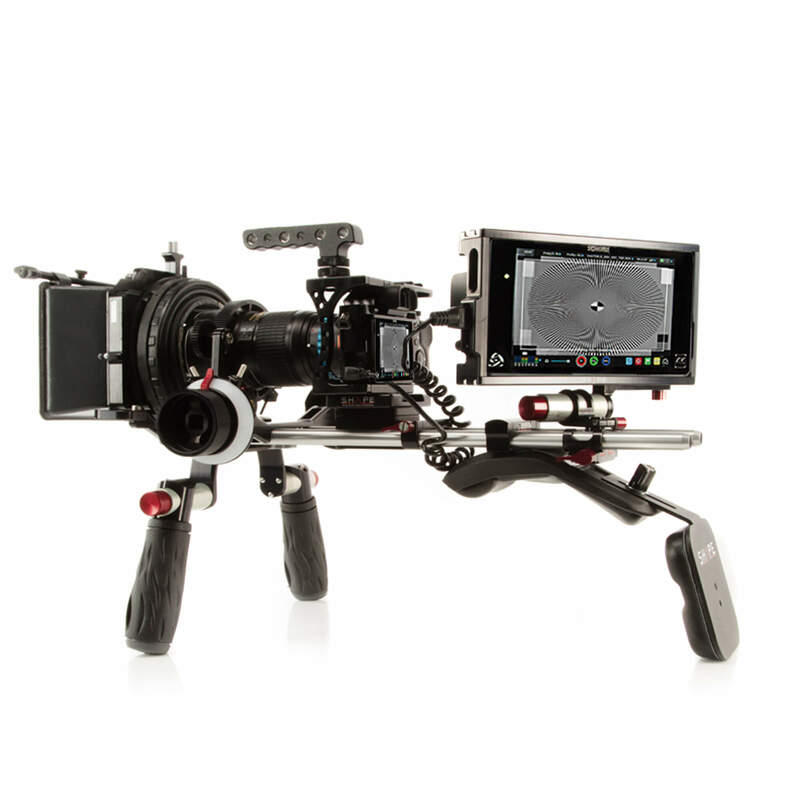 The monitor bracket attaches to 15 mm LWS rods and lets you tilt, rotate, and slide the Shogun sideways. 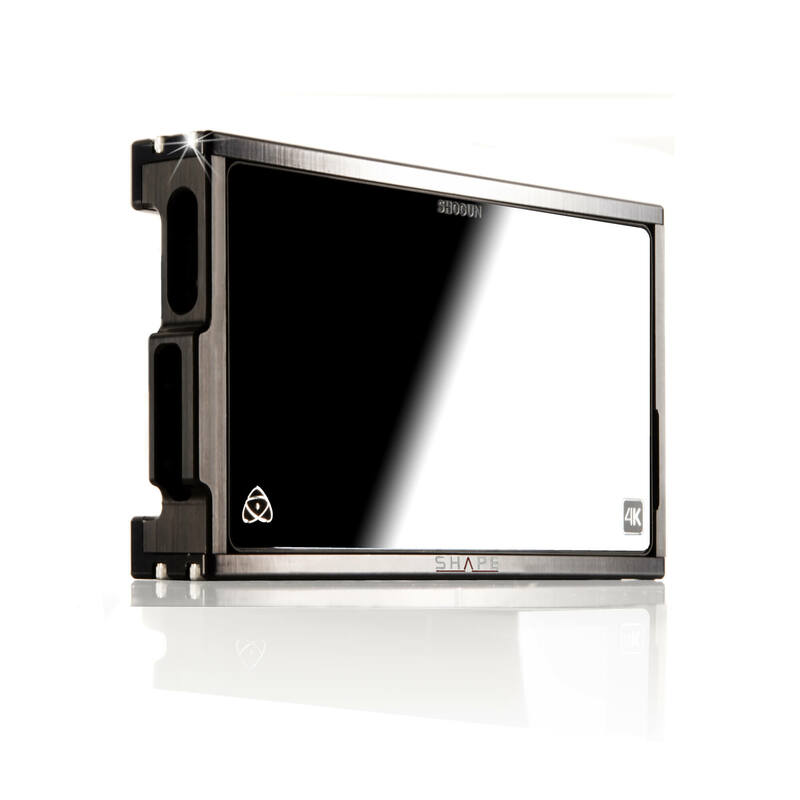 Most of the adjustments are achieved at the press of a large Push-Button. 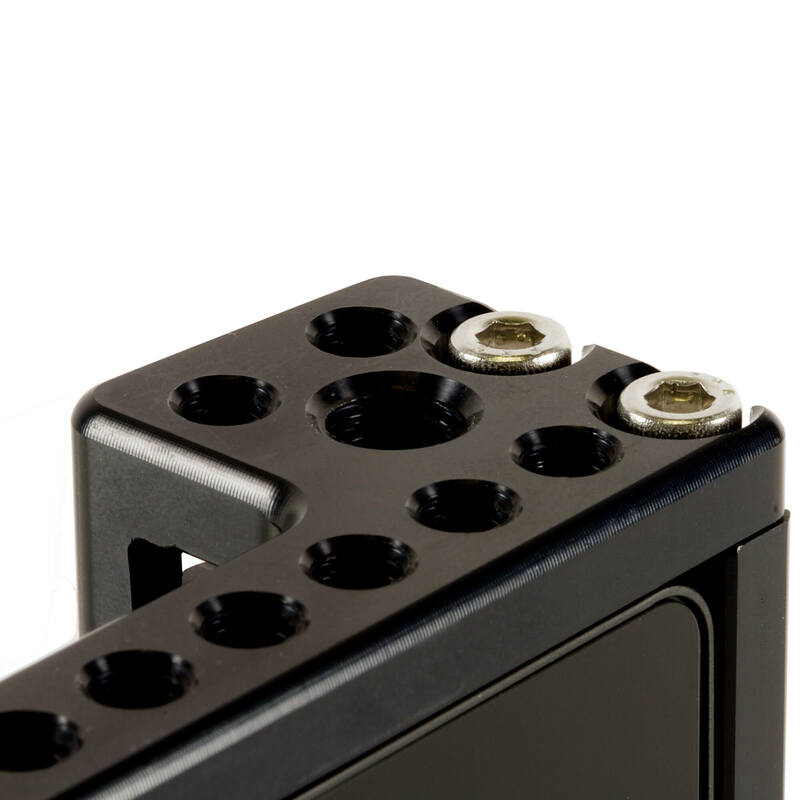 The cage holds the Shogun securely with top and bottom 1/4″-20 screws. There are bump guards on each front corner to protect the screen from accidental bumps. 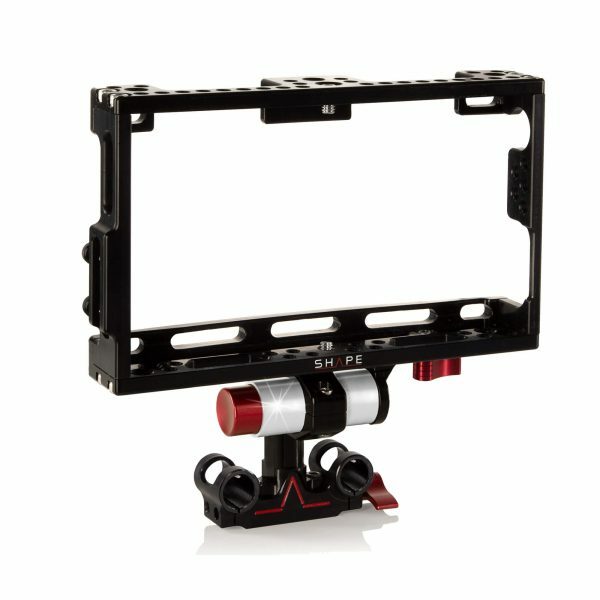 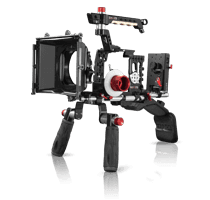 The cage leaves access to all slots, ports, and controls of the Shogun and has screw-in HDMI clamps designed specifically for SHAPE and Atomos HDMI cables with a recess on the connectors that the screws can push up against. 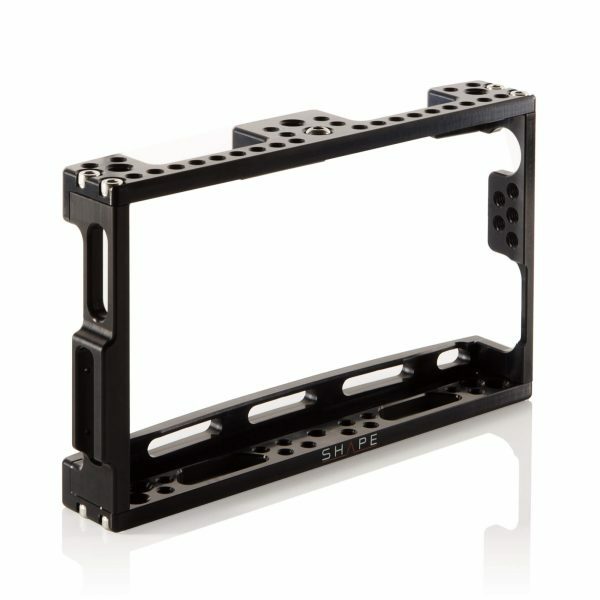 There are 1/4″-20 and 3/8″-16 threaded holes throughout the cage supporting accessories.  A SHAPE sunhood for this cage is available separately. The flat design of the cage allows you to place it on any flat surface. The cage is also compatible with the Atomos Ninja Assassin.